Aaron Bader, Nicholas Brown, Paul Rubey, Cameron Dunnuck, Christopher Hool, Josiah Battel, Andrew Knight, Jeffery Mulrath, Alex Varney, Justin Ketterer, Trevor Phillips, Robert Wolschleger, Mathew Goniwicha. Nicole Kelly, Rebecca Leslie, Caitlin Reed, Alyse Timko, Adrianna Pena, Kaitlyn Messing, Katie Michalski, Vanessa Scasny, Tiffany Wilson, Meghan Jarret, Kassie LaPonsie, Jessica Bootz, Rachel Auten, Alexandria Pena, Amber LaPonsie, Erin Moore, Brooke Hartwick, Kristen Kawecki, Amanda Clifton, Tessa Kus. Trevor Phillips, Rober Van Auken, Jeffery Leslie, Morgan Erla, Alexander Zaleski, Steffin Bader, Kuyle Pine, Steven Rychlewski, Austin Deering, Greggory Fearson, Cody Orban, Geoffory Fearson, Ethan Nicol. Ashley Stilson, Carley Hendrick, Macey Messing, Logan Rowell, Morgan Potter, Erica Kolacz, Dallas Leal, Jessica Prieskorn, Shelby Abell, Ashley Potts, Jocelynn Venema, Gracy Hollis, Desirae, Leal, Tayler Nye, Haley Wilson, Stephanie Lesson, Megan Schoel, Ashley Wilson. Haley Wynn, Andrea Boyd, Lindsey Bliss, Samantha Swiderski, Molly Wynn, Elizabeth DeLuyck, Mandi Bartnik, Kelsey Russell, Adrianna Pena, Alexandra Pea, Chelsea Green, Sarah Flowers, Vanessa Scasny, Kathleen Nizzola, Catherine Lugo, Hayley Thorp, and Sarah Burk. Mitch O'Dell, Brandon Stine, Kyle Pine, Dean Rabideau, Nick Shantz, Cameron Dunnuck, Morgan Erla, Jalen Ferris, Jeff Leslie, Guy Somerville, and Josh Jenson. Missing: Corey Haney, Derek Guigar, Dan Deering, Mike Milligan, and Geoffory Fearson. Coaches: Cuthrell, Stern, Gray, Moyer, And Landrith. Andrea Boyd, Morgan Potter, Cassandra Tomilson, Erica Boyd, Kyle Hanby, Tommy Brinkman, Derek Mozden, Rob VanAuken, Brandon Green, Kelsey Russel, Chelsea Green, Shannon Bardwell, Nicole Kelley, Lauren Perry, Amanda Kaake, TJ Marker, Jeff Mulrath, Lindsay Jamieson, Matt Goniwicha. McKensie Parrish, Haley Peters, Nicole Kelly, Amanda Clifton, Amber Warju, Megan Parrish, Logan Rowell, Lauren Walther, Rebecca Leslie, Emily Martin, Carley Hendrick, Brittany Brown. Jalen Ferris, Kyle Weidman, Andrew Knight, Justin Kerkau, Michael Vogelpohl, Nick Brown, Chris Hool, Zach McCreedy, Cole Israelson, Gerremy Fearson, Jared Weidman, Ronald Wolschleger, Chris Vogelpohl, Channing Langenburg, Dustin Wilson, and Robert Wolschleger. Brenda Haley, Nicole Guigar, Emily Martin, AManda Kaake, Lindsay Jamieson, Amber Warju, Megan Parrish, Dana Woodward, McKensie Parrish, Hayley Peters, Krista Guinther. 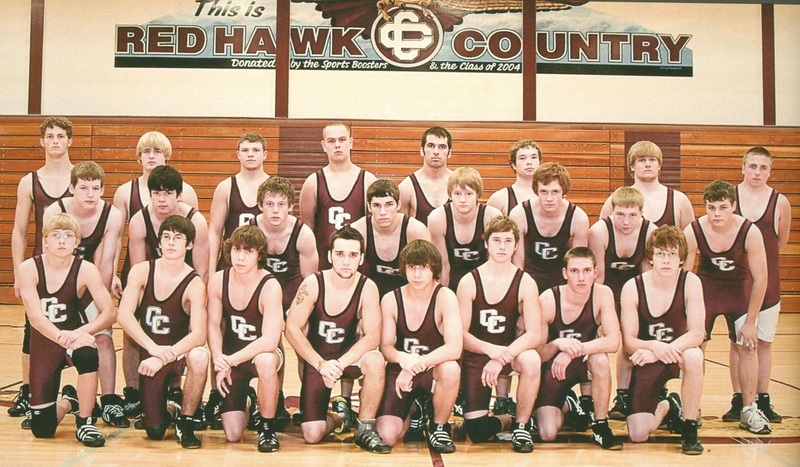 Trent Loomis, Michael Potrykus, Cameron Dunnuck, Christopher Hool, Alexander Zaleski, Michael Vogelpohl, Jeffery Mulrath, Joseph Schotter, Robert Beyette, Justin Ketterer, Alex Varney, Nicholas Adkins, Austin Osentoski, Garret Ferguson, Dean Rabideau, Thomas Marker, Eric Reif, Joshua Jensen, Dustin WIlson, Alexander Williams, Remington Rushlow, Terrence Bennett. Elizabeth Linther, Megan Zawilinski, Dana Woodward, Haley Peters, Victoria Spencer, Caitlin Reed, Logan Rowell, Ashleigh Moore, Shannon Stec, Carley Hendrick, Stephanie Leeson, Amanda Clifton, Krista Guinther, and McKensie Parrish. And Jessica Prieskorn, Alex Varney, Michael Potrykus, Zachary Potrykus, Trever Brown, Alex Zaleski, Thomas LeValley, and Eric Churchill.